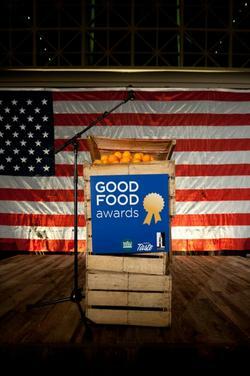 The Good Food Awards podium. Photo from Facebook. 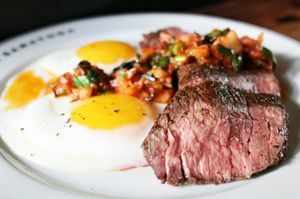 Some mighty fine lookin’ steak and eggs. Photo courtesy of The Saratoga. The finalists for The Good Food Awards have been announced (after a blind tasting of 2,057 entries! ), and the winners will be given their awards on Friday January 19th, 2018, at a gala (tickets: $165) in the historic San Francisco War Memorial, followed by the industry-only Good Food Mercantile (tickets: $35) on Saturday January 20th and the open-to-the-public Good Food Awards Marketplace (tickets: $5) on Sunday January 21st. 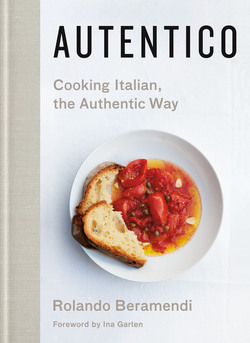 Coming up this weekend is a visit from Rolando Beramendi, founder of Manicaretti Italian Food Importers, who just released his cookbook, Autentico: Cooking Italian, the Authentic Way. This Saturday December 2nd, he’s hosting a book signing and tasting at Rockridge Market Hall, and if you RSVP, you get a bonus gift (free). You will get to sample pantry ingredients, learn about authentic Italian products, listen to Beramendi tell stories about his culinary finds, have your book signed, and enjoy a pantry and holiday pop-up. 2pm-4:30pm. 5655 College Ave., Oakland. You can also visit ~A16 ROCKRIDGE~ for dinner from 5pm onward (also on Sat Dec 2nd), which will be featuring dishes from the book, from crostini misti to the “greenest pasta,” with winter greens, pine nut, and olio nuovo. Reserve for dinner to enjoy the Autentico-inspired menu. Looking for some brunch options this weekend? Don’t forget, starting Sunday December 3rd, ~THE SARATOGA~ is starting Sunday brunch service (11:30am-4:30pm). And also on Sunday December 3rd, ~LORD STANLEY~ is hosting their monthly English breakfast, $25, 11am-2pm (details and a pic of last month’s here). One more note: during the month of December, Lord Stanley will be open on Mondays! Saturday December 2nd, the ~SAN FRANCISCO COOKING SCHOOL~ is hosting a Holly Jolly Bake Sale, with all proceeds donated to No Kid Hungry in support of fighting childhood hunger. Imagine a roomful of treats created by some of the Bay Area’s top pastry talent (from Avery Ruzicka/Manresa to Nicole Krasinski/State Bird Provisions)—and you’re given a pastry box to fill! You’ll also enjoy a cup of Guittard cocoa and a goodie bag full of other sweet surprises. Plus there’s an awesome raffle. Tickets are $75, 9am-11am. 690 Van Ness Ave. at Turk. Next week marks the beginning of Dandelion Chocolate’s fifth annual 12 Nights of Chocolate, which is also a fundraiser in support of the SF-Marin Food Bank (last year’s event raised enough money to pay for more than 65,000 meals!). Guest chefs and pastry chefs come in for various nights, serving both sweet and savory dishes and more. Take a look at the amazing lineup, which sadly includes some that are sold out (wish they would update the website accordingly), but there are still plenty of great nights to choose from. The Jewish Community Center of San Francisco is hosting a series of December pop-ups, starting with a Zahav Hanukkah Dinner at The Alembic on Thursday December 14th (with chef Mike Solomonov—yes, you get his insane hummus, menu here), a Federal Donuts Pop-Up at Hanukkah Shabbatikkah FRYday on Friday December 15th (4pm), and the Federal DUNA: Lángos, Coffee, and Book Signing pop-up event on Saturday December 16th (10am-1pm). Read more here. Bring on the doughnuts.